What is Latent Semantic Indexing & Why Does it Matter for Your SEO Strategy? Luckily, although it sounds like something that requires a degree in computer science, it’s actually a concept you’re probably familiar with -- particularly if you have some basic knowledge of keywords and their close relationship with search engine optimization (SEO). 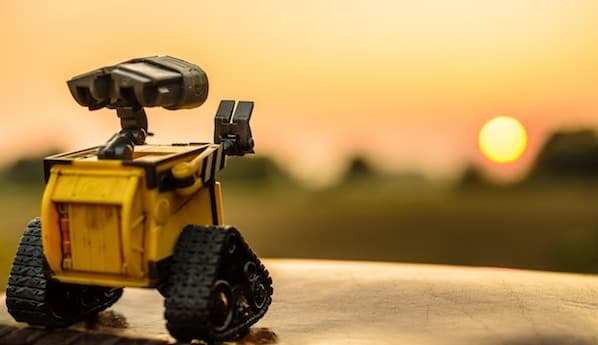 In this post, we’ll be using an infographic by HigherVisibility to discuss latent semantic indexing (LSI) in three parts. More specifically, we'll define LSI and how the process can potentially benefit your overall SEO strategy, take a closer look at ways to find LSI-driven keywords, and outline how to add these keywords into your content. What Is Latent Semantic Indexing, and How Will It Boost Your Overall SEO Strategy? In other words, LSI helps search engines identify related keywords and process synonyms to deliver more accurate search results. Search engines are always on the hunt for the most relevant and in-depth content for a given query. When you think about how big the internet is, it’s not easy for a site like Google to determine what a page’s content is all about. This is why it rewards sites that include relevant LSI keywords with higher rankings and more traffic. Benefits extend beyond those directly related to SEO, though. 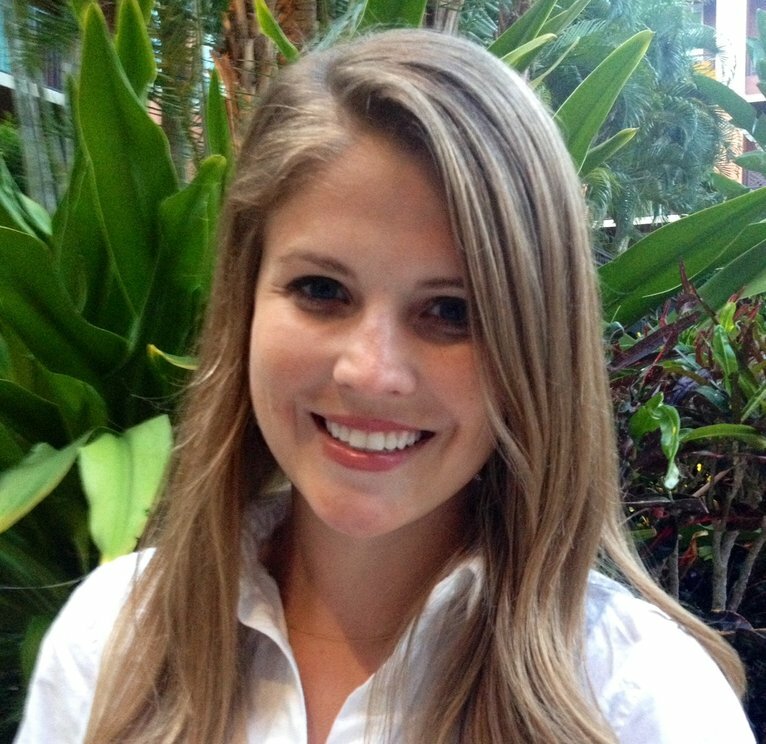 Additional and more accurate categorization helps users, publishers, and marketers alike. 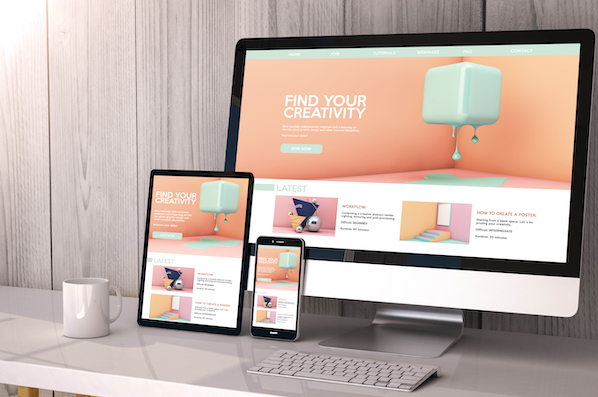 Publishers, for instance, can increase engagement because LSI-driven content is more targeted and ensures that it’s landing in front of the right audience. Users entering queries also benefit because they can easily (and more quickly) find the content that answers their questions. Now that you’re an expert on LSI and why it’s important, let’s walk through the different ways you can find additional keywords you’ll want to include in future content and blog posts. One of the easiest ways to find LSI keywords is Google itself. When you enter a term in the search query field, it automatically shows the keywords related to the particular query. Use the list of keywords as a starting point for potential LSI keywords because it reveals what Google already associates with your primary keywords. The best part? This method is 100% free! 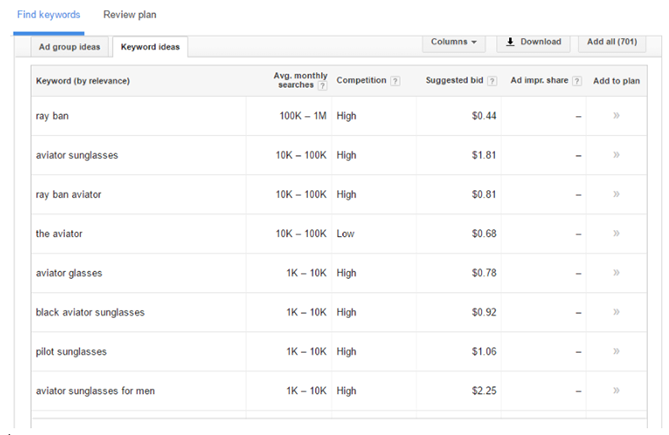 If you have access to Google AdWords, you can also use their Keyword Planner tool. 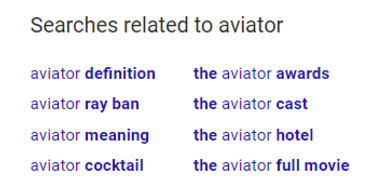 Again, we’ll use the “aviator” example. Begin by adding the term into the initial query box. Click “Get ideas” and you’ll be redirected to a page that offers related keywords and an idea of how competitive search rankings are for said term. Another free tool for you to use comes from SERPs. 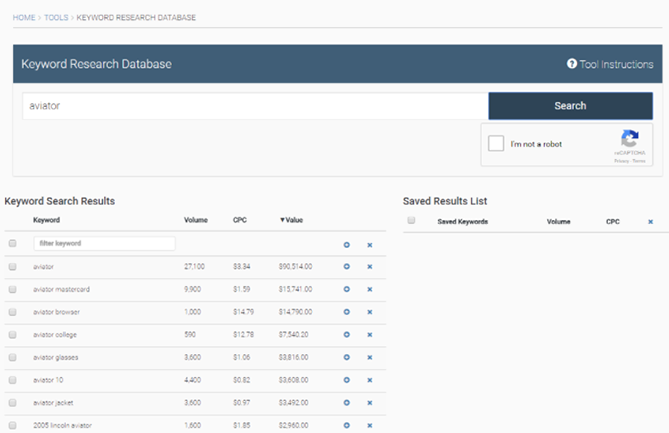 Their Keyword Research Database Tool is very similar to Google’s Keyword Planner. Simply add your query into the search bar and you’ll receive results based on volume of searches and CPC. 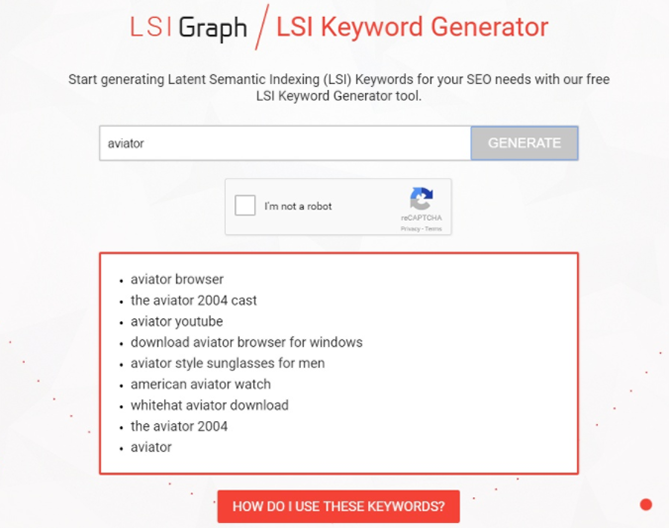 The LSI Graph/LSI Keyword Generator is another free tool specifically created for identifying LSI keywords. And as you can probably guess, it simply requires users to add a term into the search bar to generate a list of related keywords. Finally, another freebie you can use to identify potential LSI keywords is Ubersuggest. Simply enter your primary keyword, and the tool will produce a list of related search queries based on volume, difficulty, and CPC. At this stage, you’ve likely got a big list of potential LSI keywords. The trick is to narrow down your best options that are both directly related to your content and carry a decent amount of search volume. 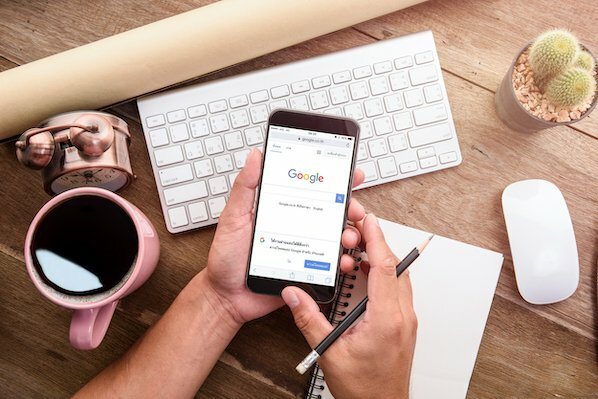 It’s important that your LSI keywords help answer any questions someone might have about your primary keyword, so you'll want to figure out what kind of queries your target audience is putting into Google to find you content. Navigational intent: This is a more specific type of query. For instance, someone might want to know who directed the film or which company was a key producer. Transactional intent: This type of query relates to purchasing something. In regards to our example, it could be related to purchasing the DVD. LSI keywords need to be highly relevant to your content. In the case of our example with “The Aviator,” a post on “10 Things You Didn’t Know About The Aviator” should only include LSI keywords that relate to the film. “Aviator college,” for instance, was a related keyword that popped up when we used SERPs. However, this has nothing to do with the film and, in turn, adds no value to your content. Something else you'll want to avoid is to not to overstuff your content with the LSI keywords you choose. A great way to judge this is by rereading your content once the keywords are added. If a given word doesn’t sound natural, leave it out. Although it has quite the complex name, you don't need to know the ins-and-outs of website development to understand latent semantic indexing. Keep in mind, though, that it’s only one factor that determines how well your content ranks in search engines. An effective SEO strategy should also include relevant backlinks, relevant alt tags, etc. That being said, it’s worth taking the time to identify and add LSI-driven keywords into your content -- particularly when everyone wants Google to be their number one fan.